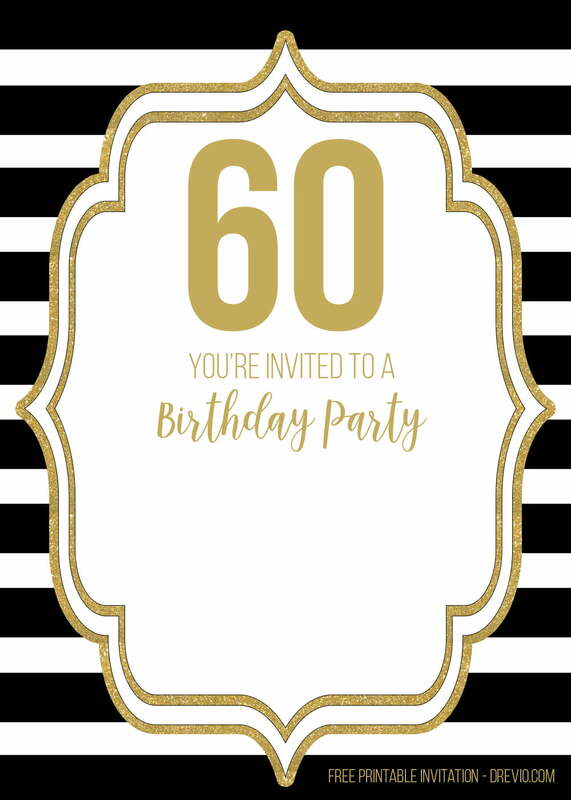 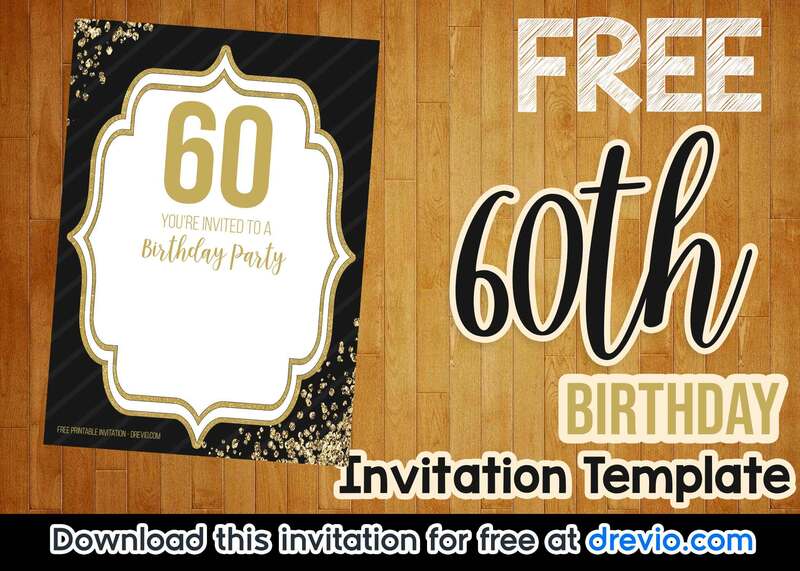 Celebrate your next 60th birthday party with our free printable 60th birthday invitation templates where you can get it for free for your personal use. 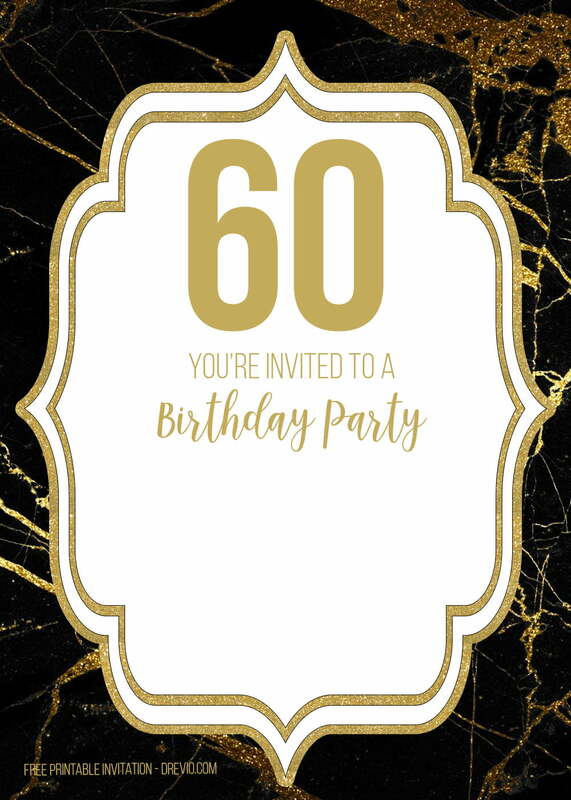 Comes in golden and black version, this invitation brings premium and luxury feeling to your party. 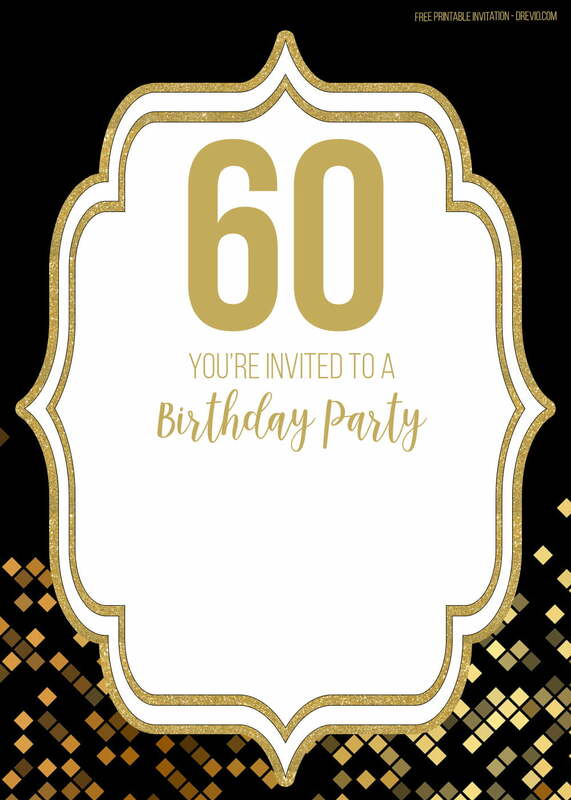 You can easily click on the image and download the invitation for free! 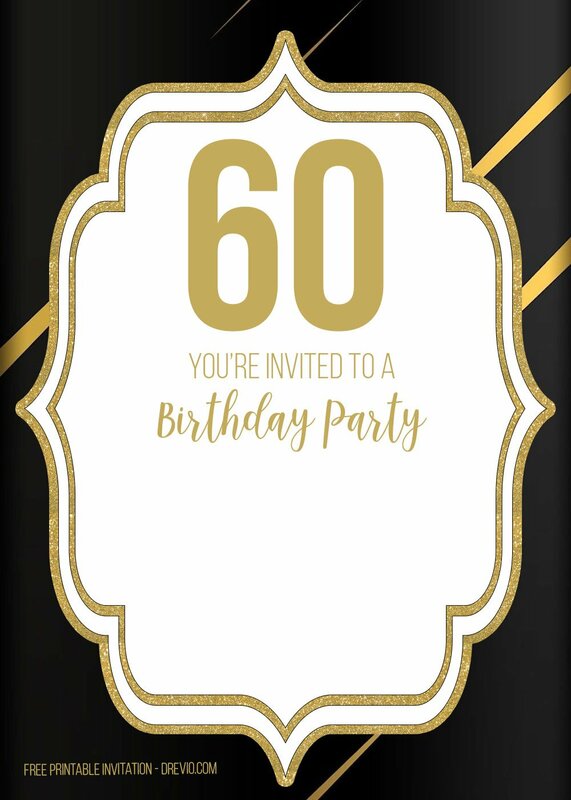 These invitations comes in 7×5″ portrait design. 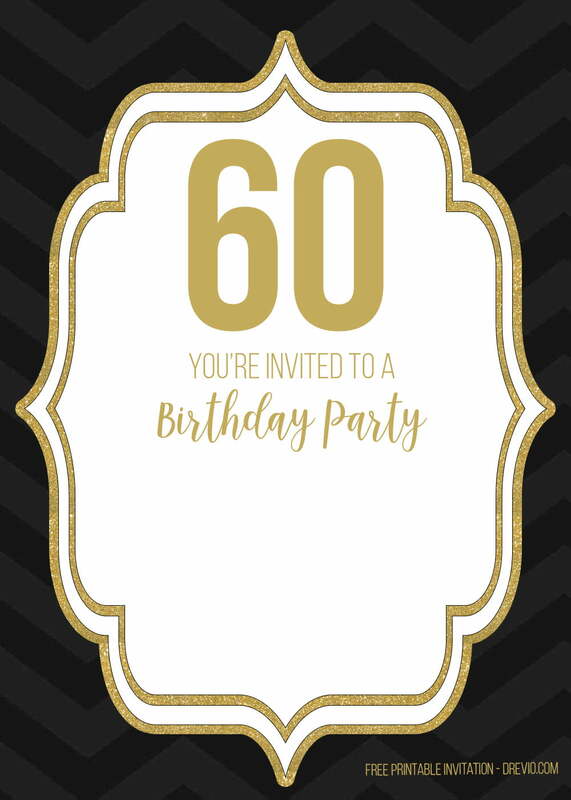 You can download and write down the party invitation with a pen or a marker. 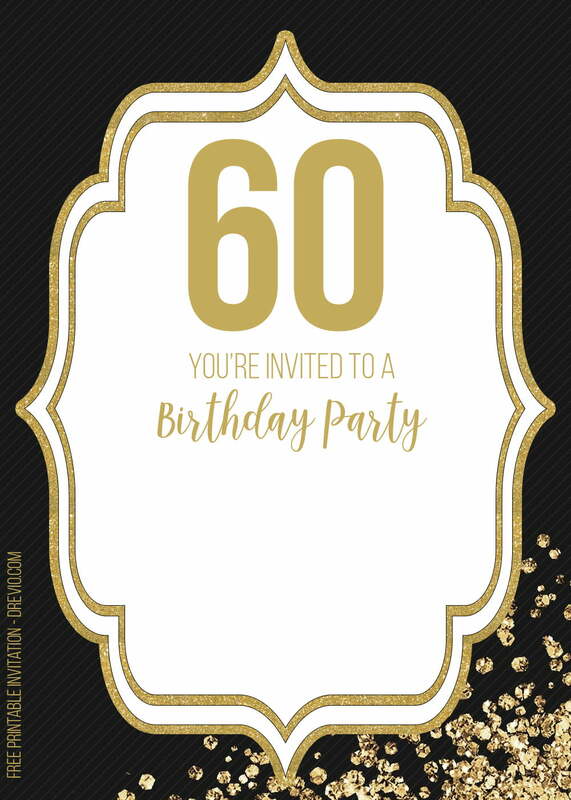 If you are able to operate image processing software like Photoshop, you can add fancy text on it. 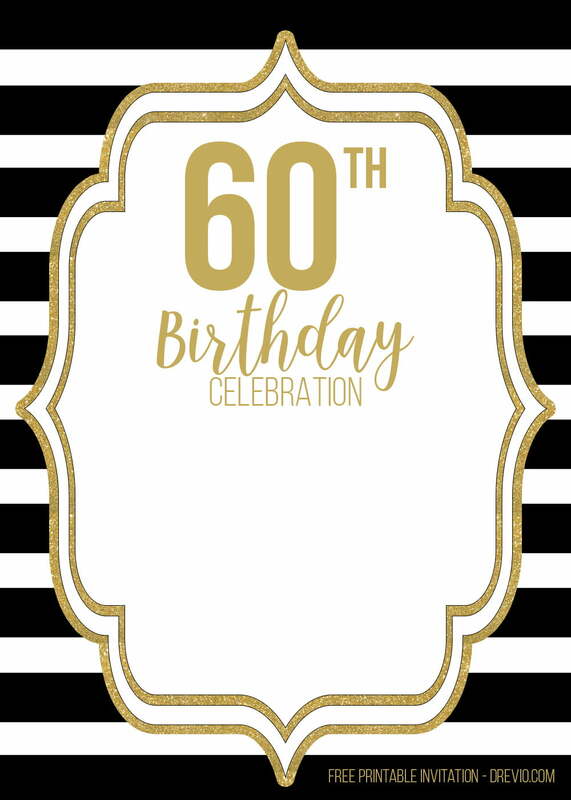 Start write down your wordings with wisdom wording , or some popular quotes or tagline, or something that you love. 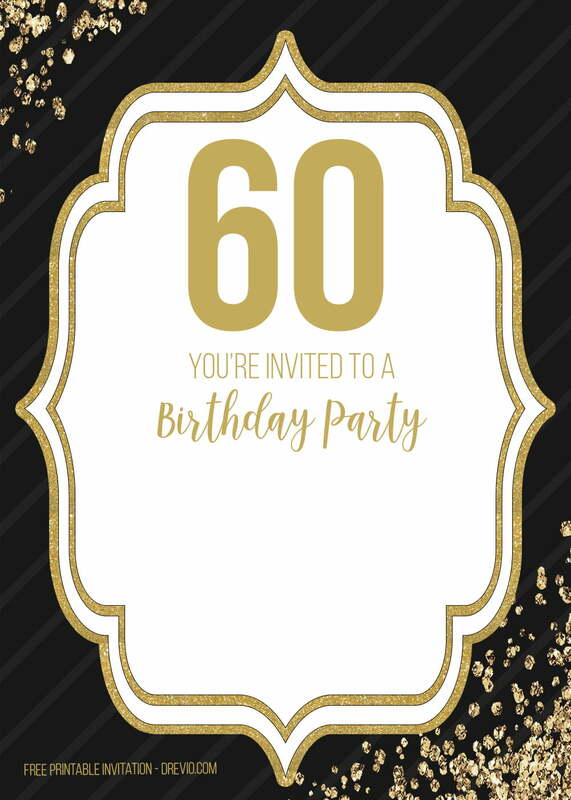 When you’re done designing, you can go to your nearest printshop to print the invitation.